Ritualists Behead Okada Rider In Edo State. HomeNaija NewsRitualists Behead Okada Rider In Edo State. Suspected ritualists have severe the head of a commercial motorcyclist, commonly called Okada rider at Ekpoma,Esan West Local Government Area of Edo State. The ritualists took away the victim head and the left the body in a pool of blood. The incident was said to have occurred at 8pm on a lonely street adjacent to the Ambrose Alli University College of Medicine, The Nation reports. It was gathered that the hoodlums boarded the motorcycle, pretending to be passengers and attacked the Okada rider on the street. 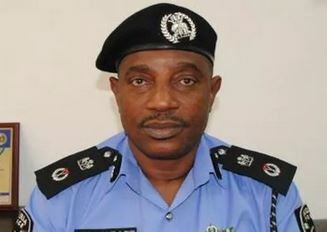 A resident said he heard a loud shout for help, accompanied with heavy bangs on the gates of some houses on the street but he was reportedly overpowered by the ritualists. The source said residents met the headless body the following morning in a pool of blood.They alerted the police, who removed the body. The residents are said to be use to sleep early after repeated robbery attacks on the street. The Divisional Police Officer (DPO) in charge of Esan West Local Government, Mr. A. A. Shaibu, confirmed the incident. He said the matter had been transferred to the command’s headquarters in Benin, the state capital, for further investigation. A police source said some suspects, including the younger brother of the deceased, were being investigated. “The younger brother is being interrogated as the last person that called the deceased’s mobile phone before the killing,” the source noted.